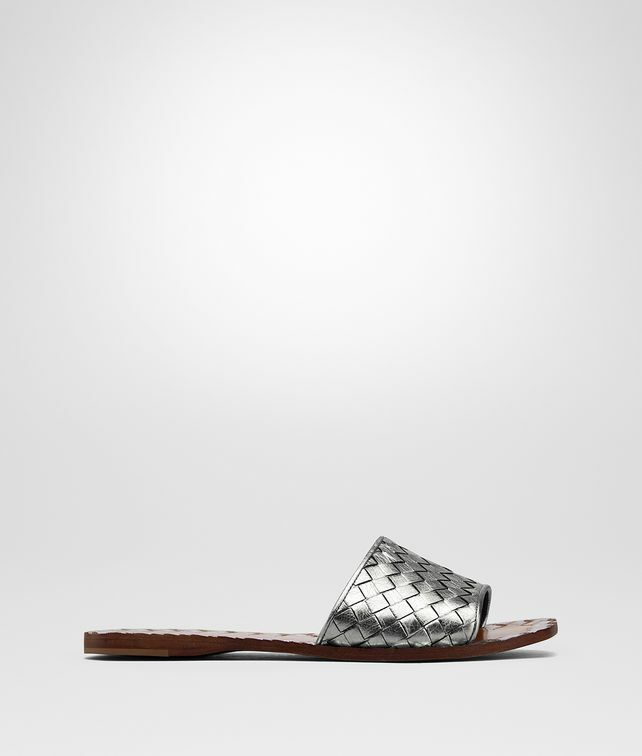 The metallic hue gives a sophisticated touch to the classic slingback flat. The soft nappa intrecciato upper is hand-woven and detailed with an engraved brunito-finish buckle. The pure leather sole is sprayed in the same color as the upper, highlighting the signature contour detailing.